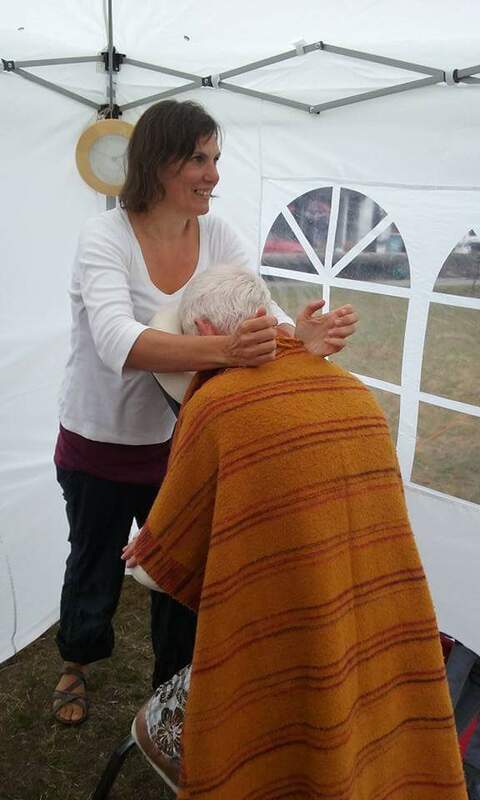 Just a couple of weeks until the next chance to try out Shiatsu massage. 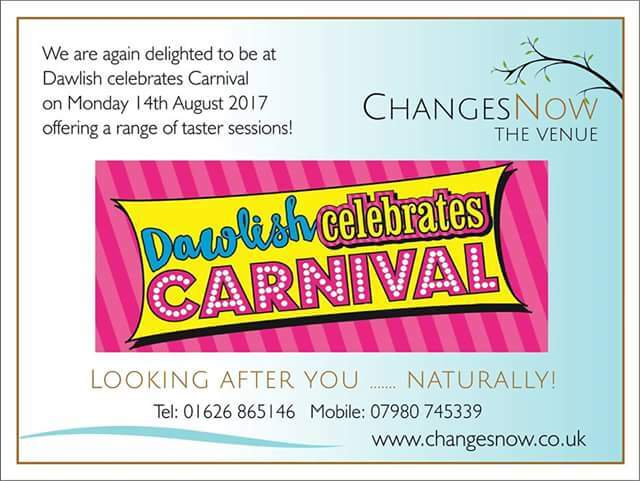 This next event is in Dawlish, as part of the Carnival celebtations. I will be alongside the other therapists that work at Changes Now in Dawlish, offering Shiatsu massage tasters for a small cost. It’s the perfect way to see what Shiatsu is & whether you feel it is something that may help you. The event is in the middle of Dawlish on Monday 14th August. If you have any questions do please get in touch through the ‘contact me’ page. Well we have survived a few days camping, four kids, four adults, wet weather at times, late nights, early mornings & lots of fun. Sleeping on air beds, being busy a lot of the time, packing & unpacking & lugging lots of heavy stuff around definitely takes a toll on your back. It really reminded me how hard our backs work & how painful they are when these is an issue. I would say that the most common complaint people come to me with, to have Shiatsu massage, is back pain. Often it is the lower back that is causing problems but sometimes it is the mid or higher back where the pain is. Shiatsu can really help support back issues, whether they are chronic or a recent injury. The quicker after an injury that treatment is sought the better. Clients witb chronic back issues can really get a good amount of relief too though. There are many different techniques that are used in Shiatsu massage & this makes it very versatile & if one technique is not working so well there are different approaches. If you are interested in discussing if Shiatsu may be of help to you then feel free to get in touch through the ‘contact me’ page. You can also call me on 07791 070837. Well official l am now on holiday – for this week & back to work week beginning 1st August. Ok it’s holiday season but lots of people are still working, slogging it out, geyting stressed & tired. Many employers have recognised the importance of supporting their staff, providing perks & taking care of the well-being of their workforce. I work in Exeter & Dawlish in Devon. I would be willing to travel if the interest is there. My son finished his first year of school today & what a year it has been. It hasn’t been straight forward & he has struggled, mostly with stamina. I am feeling really proud & happy for him for what he has achieved in this year. I feel a bit ambivalent about the schooling system & how they cater for individuals but the teachers have been brilliant & there have been enough positives to outweigh the negatives. Why am I waffling on about this & what’s it got to do with Shiatsu? Well we have used a number of support techniques to help our son including Mindfullness, Bach Flower Remedies & Yoga & of course I have used Shiatsu. Shiatsu can be used on a daily basis to support family life & I use it regularly. I used Shiatsu to support my son to be calm at bedtime, a massage after bath & before bed. I used it to help him let go of stresses & frustrations. Shiatsu helped him adjust when returning to the home environment. If he woke distressed in the night Shiatsu helped him relax & fall back to sleep. Shiatsu massage uses the same points that Acupuncture uses – these points can be held at any time, not just in a full treatment. They can be useful for physical issues such as headaches, strains, cramps, tinitus, sinus issues, digestive issues. It is also helpful for emotional distress, nervousness, anxiety, worry. It is possible to take a course in how Shiatsu can be used on friends & family & I hope to offer a course some time soon. I really value the support Shiatsu gives to me but also to my family & I wouldn’t be without it. If you have any questions do get in touch through the ‘contact me’ page. I’m always happy to talk Shiatsu. Well it feels like it has come around fast – next week I am on holiday – no Shiatsu massage for the week. 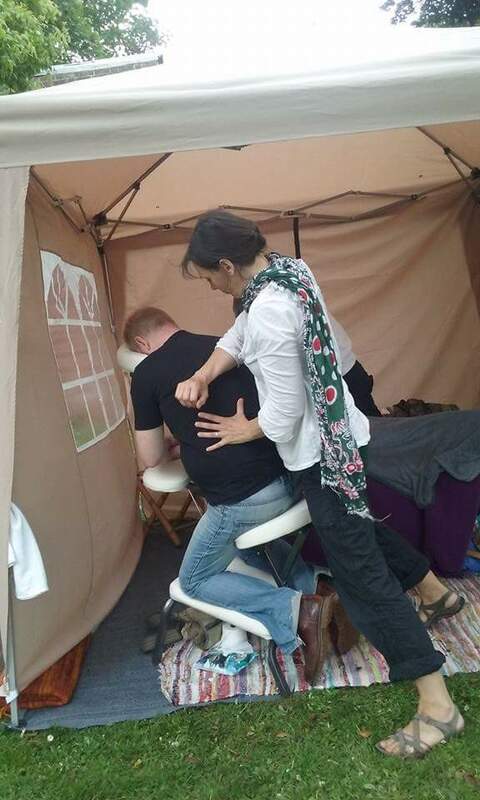 I still have some spaces available in August so if you want to book a Shiatsu massage in either Exeter or Dawlish do give me a call or drop me an e-mail. Details are on the ‘contact me’ page. I will answer phone calls & emails whilst I’m away but may just take a little longer than normal to get back to you. I am really ready to have some family time & know I will come back with new vigour. I love Shiatsu & I use it every day, on myself, the kids, family & friends. I know though that a week off from giving treatments will help me charge up, ready for a busy August & September. So see you on the other side! Actually I’m sure I’ll keep blogging, when I can, I’ll see you tomorrow then! It has been an interesting week of Shiatsu, the meridians (lines of energy) in the body that relate to the summertime have been really prominent in the treatments. They seem to be even more prominent than other Summers. The weather has been so warm & it has been a ‘real’ Summer, so far & this has fed people’s Fire energy, the energy that relates to this time of year. So what does this mean – there are positive & negative results. The Fire energy is strong & burns brightly, it is perfect for socialising, doing lots of things & making the most of the time. All my clients this week have been doing a lot & finding that they have the energy to do so. The warmness in the body has helped the energy move well & change quickly, resulting in symptoms easing & tension releasing. Heat rises & this is what happens when there is an excessive of Fire energy, it goes up into the shoulders, neck & head. It creates tension & too much heat in the head. Emotions can also become too big & hot & potentially explosive. In general there has been an excessive of heat in client’s bodies, of course it is the Summer, however this has felt abnormally hot. Rembember that the Fire energy is strong, particularly this year. Take time to sit & be still, in a cool place. Drink plenty of water. Try to moderate your intake of sugar, alcohol, spice & other stimulants. All of this will help stop your energy rising, from getting too hot, from emotions exploding or burn-out happening. And of course Shiatsu massage can really help! I found this week that people’s bodies were particularly malleable & this meant a lot could be achieved quite quickly & easily in a treatment. If you would like to know more or book a treatment get in touch through the ‘contact me’ page.